At the north end of Macao, not far from the old gate that marks the Macao S.A.R. 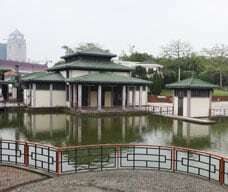 's border with China, is the Dr. Sun Yat Sen Municipal Park. 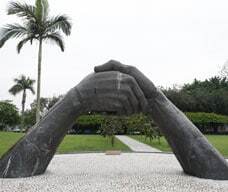 Located next to the canal that forms part of the border, the park features an aviary, a Victorian-style greenhouse, winding walkways, flower gardens, a fung shui forest of trees which is believed to bring good luck, and a bronze sculpture called "Permanent Handshake", representing the friendship between Portugal and China. High points in the park offer good views of the Chinese Special Economic Zone of Zhuhai across the border. 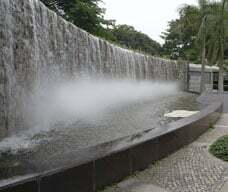 A swimming pool, a children's playground, and multi-purpose sports fields provide recreation. Opening hours: 6 a.m. - 11 p.m.